As scientists and physicians learned more and more about pain, a new field of medicine called Interventional Pain Management emerged. The specialized physicians who dedicate their medical practice to this field are called Pain Management physicians. They use their education, skills, and experience as they continuously seek to improve their patients’ pain and quality of life. Chronic pain. Pain that persists—lasting more than six months. Cancer pain. Pain due to cancer and/or cancer treatments. Surgical pain. Post-surgical pain that won’t go away when treated by post-surgical pain medicine. Nerve pain. Pain associated with a nerve injury, most commonly a stroke. Orthopedic injury pain. Pain from an accident or injury that doesn’t respond to normal orthopedic treatment. Diabetic pain. Pain experienced due to the metabolic disorder diabetes mellitus. These types of pain can present alone or can be overlapping. Non-steroidal anti-inflammatory drugs (NSAIDs), oral steroids and pain relieving medications. Overseeing a course of physical therapy in conjunction with treatment. Minimally invasive procedures. Nerve blocks, spinal injections, steroid injections and microdiscectomy procdedures. Because the field of Pain Management is rapidly evolving, new treatment options come out regularly. In order to find out what they are, and (more importantly) if they can help you, it’s best to arrange an appointment with a Pain Management physician. The taking of a detailed medical and pain history is an important part of an appointment with a Pain Management physician. 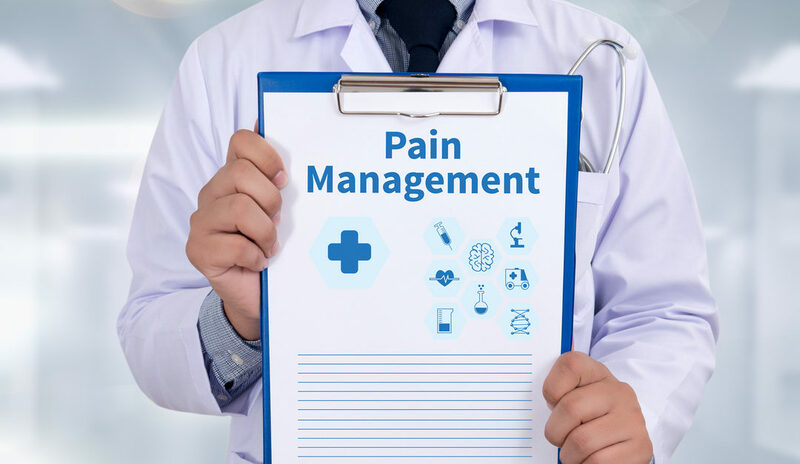 Because finding out the exact cause of pain is a team effort, Pain Management physicians typically ask their patients very specific questions. Once they are able to find the cause of their patient’s pain, they discuss and prescribe treatment options that are patient specific. It is because of this unique approach that millions of patients get pain relief that they simply can’t get from anyone else. When you’re ready to arrange an appointment with a Pain Management specialist, please don’t hesitate to contact our offices throughout New Jersey. We’re currently accepting new patients and will get you in ASAP.